Is BR1 right for me? 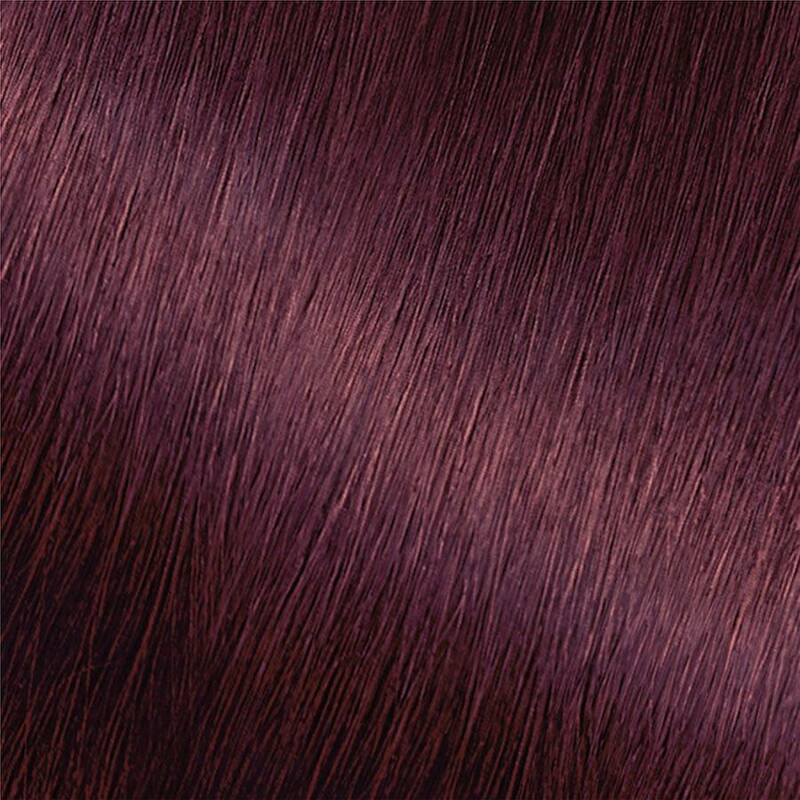 Garnier Nutrisse Ultra Color BR1, "Deepest Intense Burgundy," is the deepest of the three Ultra Color Burgundy shades and gives hair a dark, intense burgundy reflect. It is best for anyone with natural hair between medium brown and black. Explore our other two shades: BR2 and BR3. *For women with currently colored hair, there are special considerations for the color result you can achieve. Because of this, we do not recommend shade BR1 for hair that has been previously bleached, highlighted, hair that is predominantly gray, or if you have previously colored your hair "Medium Brown" or darker. For more help, use our Shade Selector Tool to find the perfect shade for you! Rated 1 out of 5 by Toya85 from My hair looks black not deep burgundy I just dyed my hair last night and my hair looks black. My natural hair color is dark brown but after dying it, it does not match the color chart on the side of the box. You can tell I did something different to my hair because it just looks darker and not deep burgundy. The only thing that I’m satisfied with is that my grays are covered. I just bought this last night and I’m highly disappointed with the results. Rated 1 out of 5 by Pari from does not work on dark hair I was so excited with the possibility to try on some fun shades for dark hair, im so disappointed! it said that this works on dark hair. it didnt; just colored white roots and the rest looks the usual black. stained the scalp and i did follow instructions and wiped the scalp wherever possible. Rated 1 out of 5 by M882 from Don’t recommend I used to dye my hair a burgundy color for fall every year using the brand Féria, but have always used Garnier for my regular color and never had a bad experience so I figured I’d test their burgundy out. NEVER again! Upon dying, it does appear very red, but once rinsed after the application, not only does it not show up, it literally never stops washing out! It turned my hair a dark dark brown and the only time you can see burgundy is in the sun. It gives off a red hue at the roots but that’s about it. So, that was disappointing. I washed my hair about 5-6 times before the water ran clear. This dye will ruin your clothes, towels, and pillow cases for days and days after application. That’s probably the worst part is the mess this dye creates. Wouldn’t use again. Rated 2 out of 5 by tra5011 from Gave it a second chance Last fall I tried this color and I loved it, it's a beautiful color. But I noticed I was needing to color my hair more often than any other color or brand I have used. I decided to try it again recently after I pulled all of the old color out of my hair. It's been two weeks and it needs to be colored again. I have to use two boxes each time I color so this gets pretty expensive. Pretty sad about it. Will look for another color. Rated 1 out of 5 by jerzgrrrl72 from This color is NOTHING like Auburn Black!!! I absolutely ADORE my BL26 Reflective Auburn Black hair color! I've been using it for years, and I am constantly receiving compliments on it, as well as inquiries about it, and BR1 Deepest Intense Burgundy is ABSOLUTELY NOTHING like Auburn Black--not even close! Why you would even suggest that it is, is beyond me. For the past year, I've been having to drive all over the area in which I live to either search for it, or order it and pick it up, and now, I'm having to buy it online, and gather as much of it as possible like a hoarder. Thanks a lot, Garnier. You just lost a longtime, devoted customer, who has done nothing but sing the praises of your product and this particular color of it for a long time.